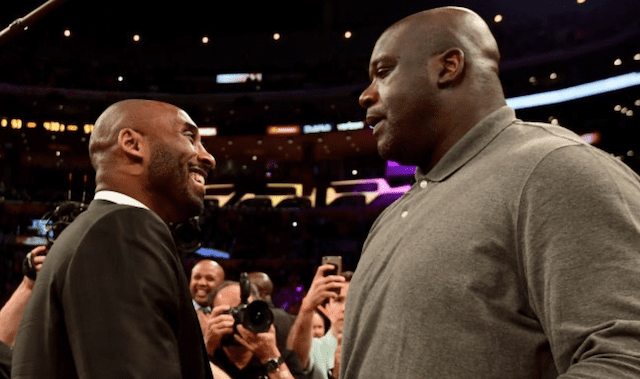 After an active free agency period, the Los Angeles Lakers roster will feature many new faces for the 2018-19 NBA season. With training camp and the preseason rapidly approaching, only eight holdovers from a year ago remain in the organization. 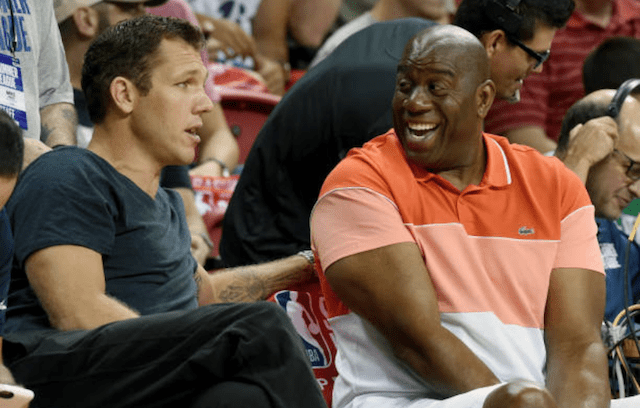 Among the many departures include forward Luol Deng, who agreed to a buyout earlier this month and saw the remaining year of his four-year contract stretched before latching on with the Minnesota Timberwolves. 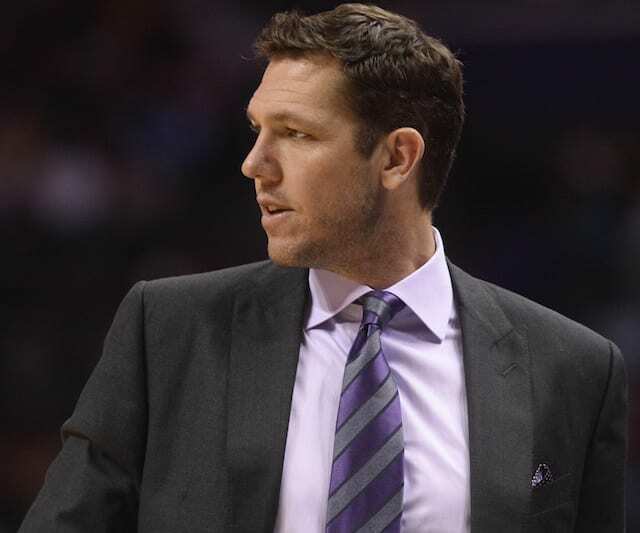 By waiving Deng, the Lakers now find themselves with an unexpected open roster spot at a late point in the offseason. Some speculated that the team could look to add another shooter in free agency, or perhaps leave it unfilled for trade flexibility down the road. 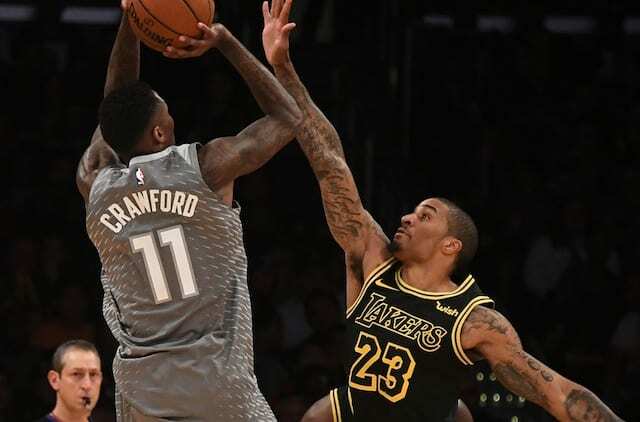 A recent report revealed that the Lakers were one of four teams to express interest in veteran sharpshooter Jamal Crawford this summer, who has surprisingly lingered on the free agent market after opting out of his contract with the Timberwolves in May. 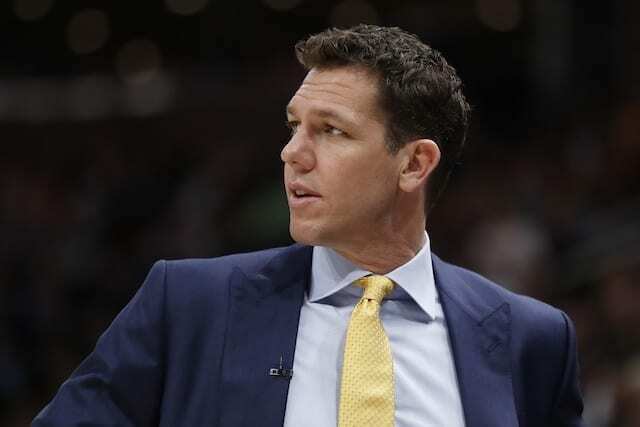 The Boston Celtics, Philadelphia 76ers, Golden State Warriors and Los Angeles Lakers have all shown interest, a source said, but none has offered a contract. Crawford, 38, is coming off one of his least productive seasons since debuting with the Chicago Bulls in 2000. In a reduced role for the Timberwolves, Crawford averaged 10.3 points over 20.7 minutes per contest (80 games) — the second-lowest total of his career. Crawford maintains that there’s interest in his services, but he’s willing to wait for the ideal situation before inking a new contract. The Lakers don’t appear to be a fit for Crawford given their abundance of guards, but a potential addition would nevertheless add another veteran presence to an upcoming young roster. 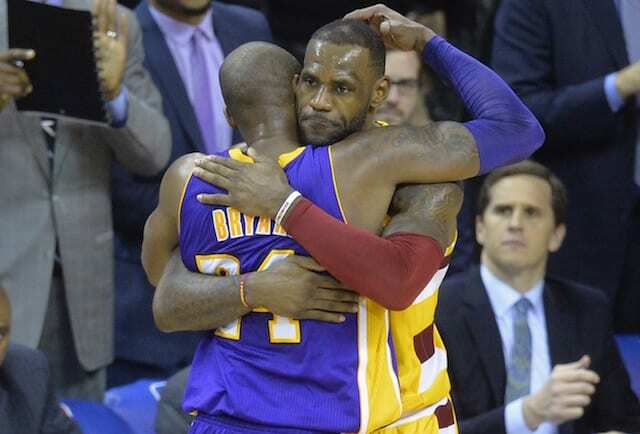 However, general manager Rob Pelinka sees value in keeping an open roster spot.